While most INTJs are pretty clear cut introverts, some of them have a tendency to appear more extroverted than they are actually are. Of course no one is all the way on one end of the spectrum, or they wouldn’t be a healthy and functioning individual. If we are 100% introverts or 100% extroverts, then we don’t behave in very functional ways. Most people find themselves only slightly leaning one way, while some feel pretty stuck in the middle on this one trait. Most of the time INTJs general disdain for humanity and their desire to be away from ignorant people, can cause them to be pretty obvious introverts. Some INTJs find themselves more drawn to behaving in ways that aren’t all that introverted or reserved. The INTJ who behaves more like an extrovert can be a bit more challenging to type, making it important to understand a few details about them. INTJs are very assertive people, which does make them capable of fitting into leadership roles. Most of the time we view leaders as extroverts, since it requires communicating with others and being a rather social creature. While they might not enjoy constantly being involved in social situations, INTJs can fit very well into a leadership role. They are good at delegating and taking charge when they have to. INTJs are strategic people who can figure out the best course of action in order to bring their team together. They can often handle longer periods of interacting when they are in a work setting, especially if they are focusing on something important and meaningful. INTJs often just want to be sure that the people they are dealing with can follow their orders and listen to what they have to say. Their more assertive and leadership qualities can cause the INTJ to seem more like an extrovert. They can often be confused for an ENTJ, simply because of this. 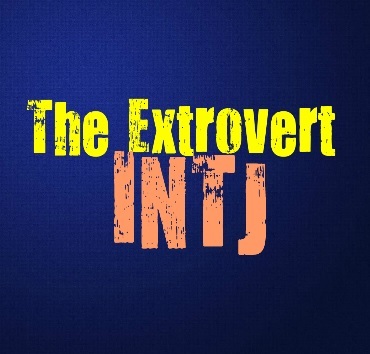 While they do still need time to themselves and are more ruled by their introverted intuition, the INTJ can sometimes appear more like an extrovert when they are playing a specific role. INTJs aren’t afraid of confrontation, which can cause them to appear more outgoing and even extroverted. They won’t back down simply to avoid the headache, and are not afraid of standing their ground. They will be especially ready for confrontation when someone is deeply wrong about something and needs to be corrected. INTJs truly believe in doing whatever they can to remove ignorance from the world, and sometimes this means confronting those who would spread it. Instead of standing aside they will confront people and be rather aggressive in their means of proving them wrong. INTJs can appear like an ENTJ in this situation, since they aren’t likely to just step back because the situation might be a bit draining for them. Ultimately, the INTJ will feel rewarded if they can prove someone wrong and show others what the truth is. INTJs actually enjoy debating a subject, or getting into long conversations with people who are like-minded. Someone who can keep up with the INTJ and actually provide them with interesting facts and ideas, will be somewhat fulfilling for them to communicate with. INTJs become drained by people who are shallow and simply want to talk about things that aren’t valuable or truly interesting. Their minds are constantly running through different facts and so they find themselves bored with information they likely learned years ago. For the INTJ the debate has to be truly stimulating, and in this case they are more than capable of being socially interactive. For the INTJ getting into a long debate or in depth conversation with someone who can actually keep up with them, is actually rather rewarding. They enjoy being around someone they can bounce ideas off of, and hear their own theories challenged in intelligent ways. It helps the INTJ learn and develop their argument to be even stronger in some situations. They aren’t afraid of being challenged, and so they definitely like a good debate and enjoy what is can provide for them. When it comes to a work environment INTJs will often do whatever it takes to be the best at their job. If they need to work with others in a team setting, they will certainly step up. INTJs can sometimes appear more extroverted than they are, simply because they have to. They don’t back down from a challenge and instead want to push themselves to improve their skills. When the INTJ has to work with a team they simply want to be sure they are working with people who are efficient and intelligent. They will likely become short-tempered with people who don’t fit either of these qualities. When they are around an efficient team the INTJ can be both helpful and cordial. They can handle working with people in these environments, especially if everyone is bringing something valuable to the table. INTJs don’t like holding themselves back simply because they prefer to work alone, especially if they are learning and growing in a positive direction. INTJs are often capable of doing whatever it takes to accomplish their goals, and will do what they can to work well in a team. These adaptable traits often make them appear much more extroverted, even though they likely need plenty of time alone afterwards.